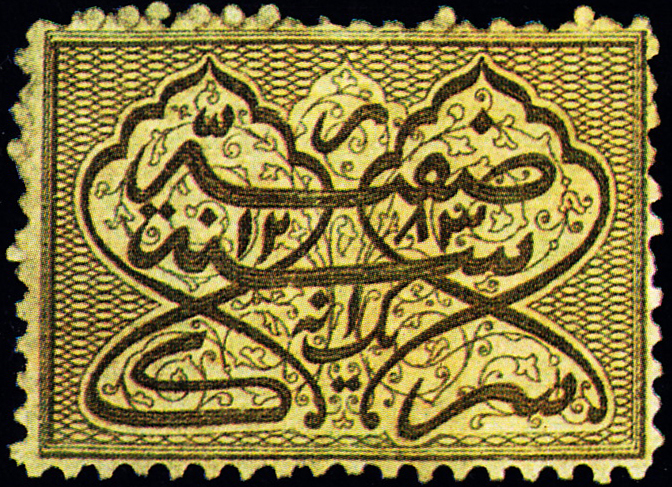 † This column contains an indication of price showing the significant digit and the number of zeros following, so 32 means about $300, 16 is a million and “c” is less than $1. 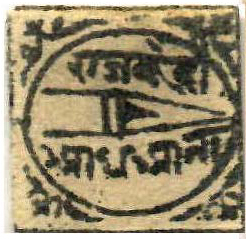 Soruth - Gibbons notes that while the region using these stamps was actually Junagadh (in Gibbons, Junagarh in Scott), as they have been listed for so long under Soruth, that tradition is maintained. 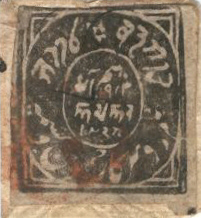 The first issues are handstamped in black on a variety of papers and it is difficult to distinguish between the catalogue variants. 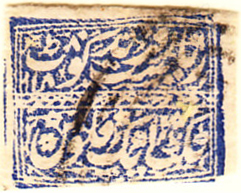 Both Scott and Gibbons list bluish (azure) laid paper first. 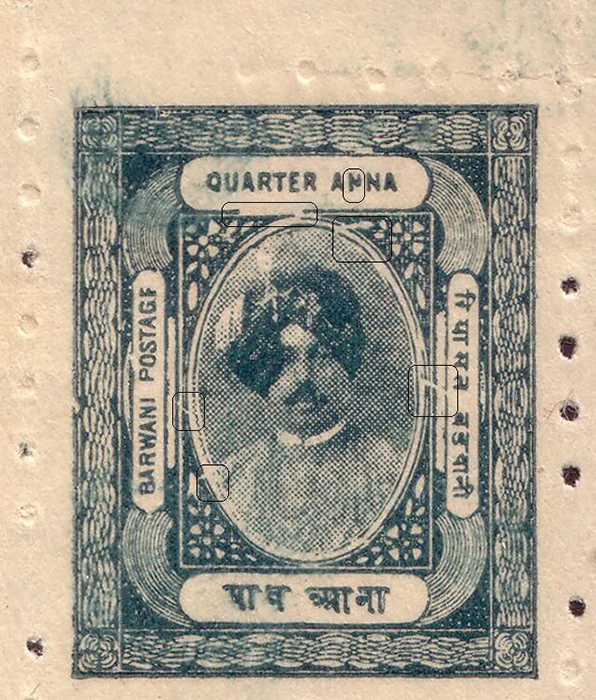 Jammu & Kashmir - Both Scott and Gibbons number these sequentially. 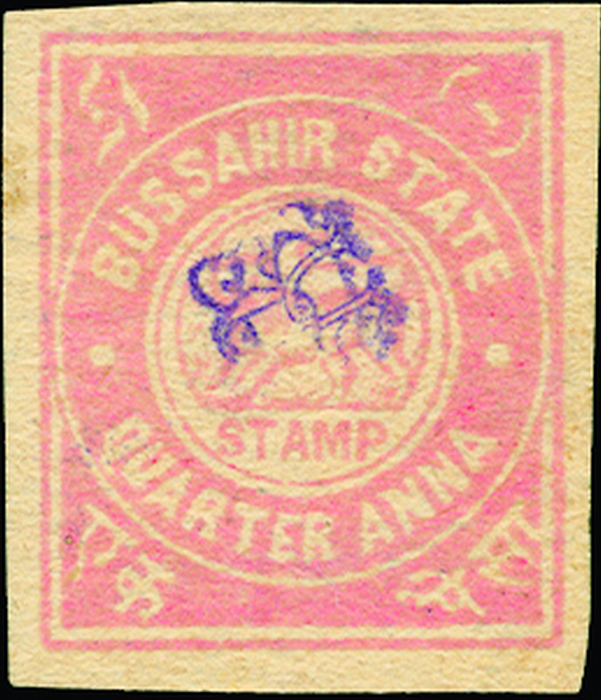 Hyderabad - Mackay  notes, "Despite its oriental appearance, with Arabic lettering set in arabesque ornament, the 1 anna stamp issued by Hyderabad in 1869 was designed and engraved by a Mr Rapkin of London and recess-printed by Nissen & Parker." 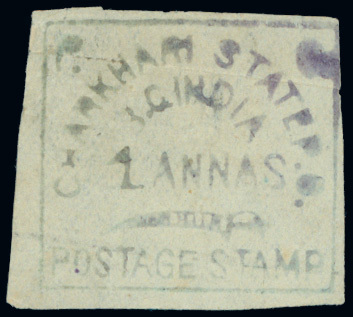 Sc#1 Jan 1871. 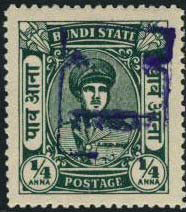 Jind - issued stamps as both a Feudatory and a Convention state (as did Faridkot). 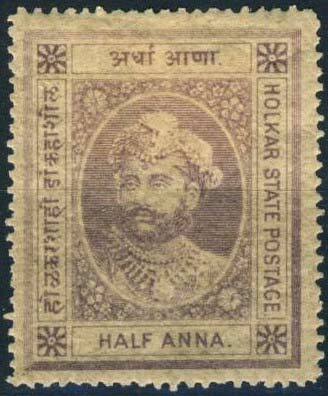 The Feudatory period was 1874 to 1885 and the Convention 1885 to 1943. 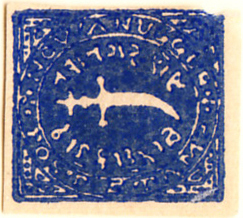 Sc1-5 were on thin white wove paper, Sc6-10 were the same values and designs on thick blue laid paper and different colours except for Sc1/Sc6 which are both blue. 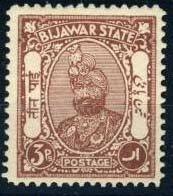 Kishangarh was integrated with Rajasthan in 1947-49. 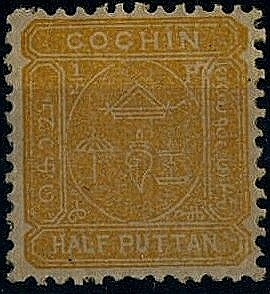 Kotah and Tonk do not appear in the Scott catalogues to hand but have been listed in the FICC catalogue after being mentioned in Linn's Stamp News in November 2009. 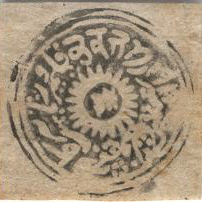 Articles appeared in the Journal in 2010 (v18n1p2, v18n2p4). 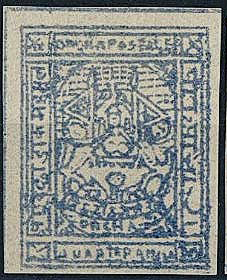 They were included in the 2010 Scott Classic, though no price is given for Tonk #1, of which three copies are known, all on cover. 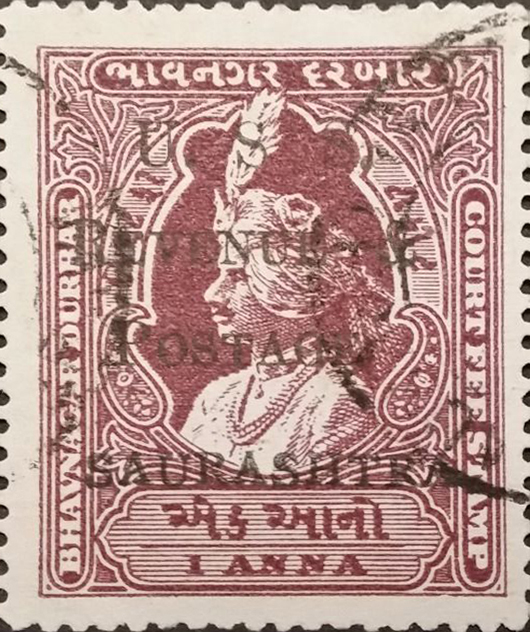 Orchha - Sc1, the ¼ anna ultra was issued in 1915. 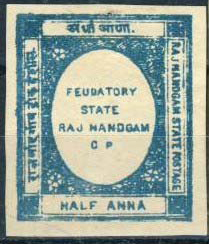 Rajasthan - the Rajasthan Union comprised Bundi, Jaipur and Kishangarh. 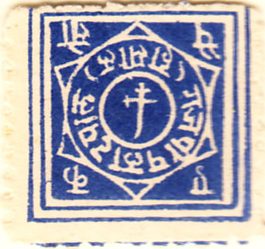 The first set of stamps are Bundi overprints in black, violet or blue suffixed A, B and C respectively in Gibbons: Scott suffixes are ad-hoc. 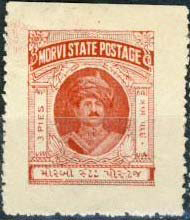 Suruth, United State of Saurashtra - this was formed in 1948 by 217 States, including the stamp-issuing States of Jasdan, Morvi, Nowanuggur and Wadhwan. 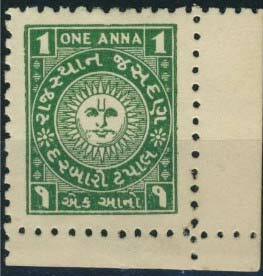 The issue began with overprints and surcharges with numerous variations, Sc39-42, SG58-60, variously suffixed. 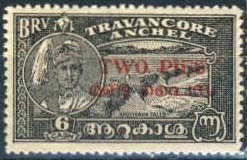 The United State of Travancore-Cochin was established 1st July 1949. 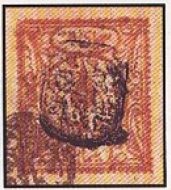 Morvi - The illustration of the #1 is taken from Robert Louie's articles on forgeries that (as might be expected) also include images of genuine stamps. 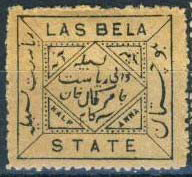 He shows two versions of the #1, one (shown) with 10mm spaces between stamps and one with 5½mm spaces. 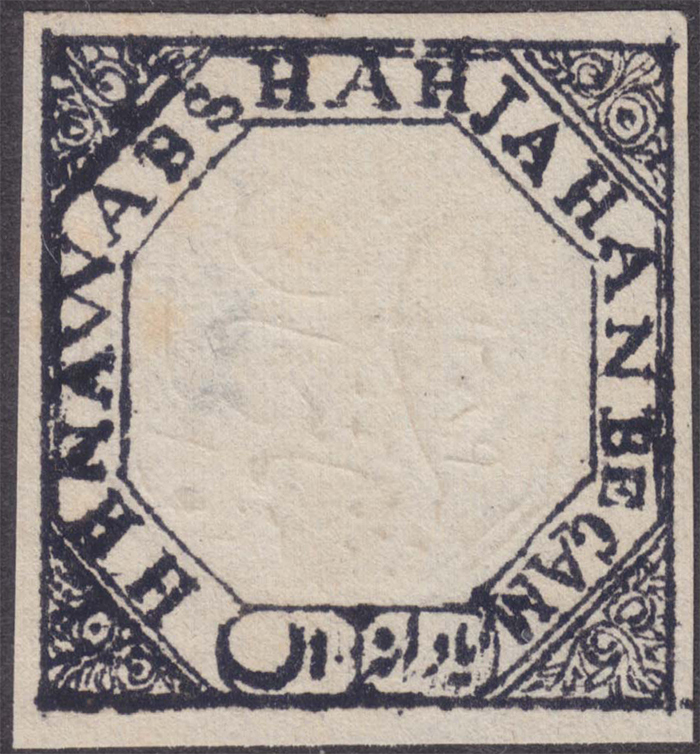 Charkhari - Gibbons lists a ¼a rose first, though Scott dates this as 1897 and numbers it Sc3A. 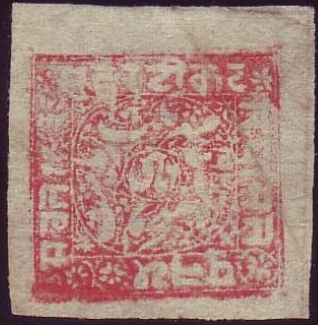 Duttia - Gibbons lists the ¼a black/red as 1896 (SG4). 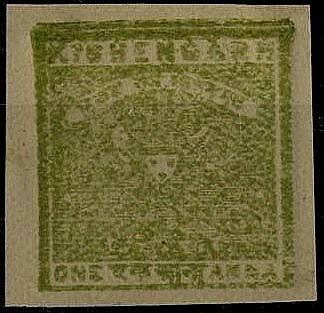 The ½a black/green Sc2 is SG1. 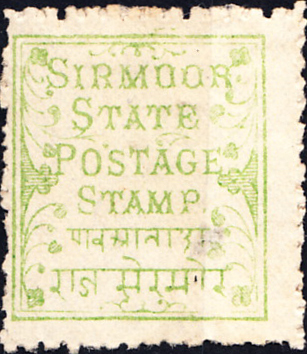 Idar - Gibbons dates the ½a light green as 1932, rather than Scott's 1939. 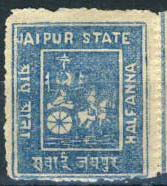 Jaipur - Scott shows two chariot design variants, Gibbons three. 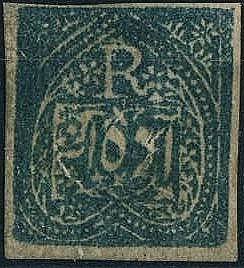 Based on the catalogue prices and colours, Sc1 is probably SG3b. 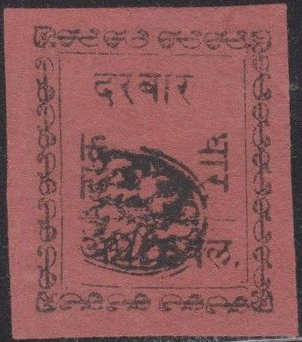 Jasdan - Scott has a single entry, noting perf 8½ to 10½. 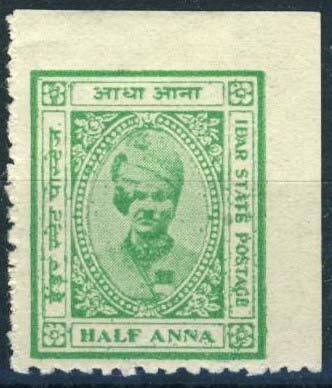 Gibbons identifies specific perforations, all 1 anna green (variants), SG1-SG6. 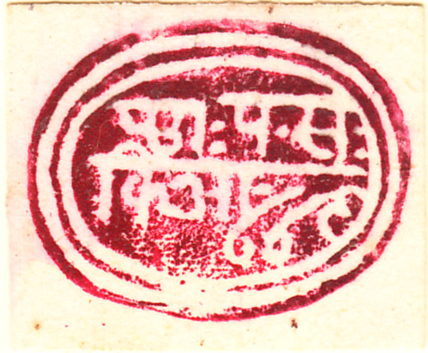 Rajpipla - Gibbons dates the 1p blue as June 1880. 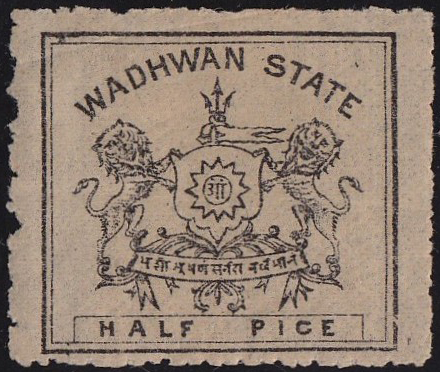 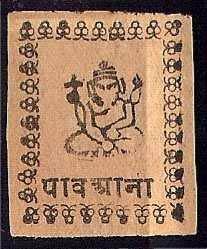 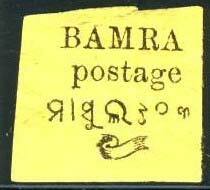 Wadhwan - There are three variants of these stamps, a combination of thin paper thickness and perf variations. 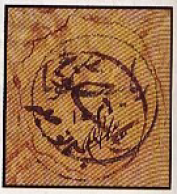 Scott renders this as Sc1-3, Gibbons as SG1-6. 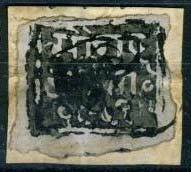 Sc1 (thin paper, pin-perf) is SG1b. 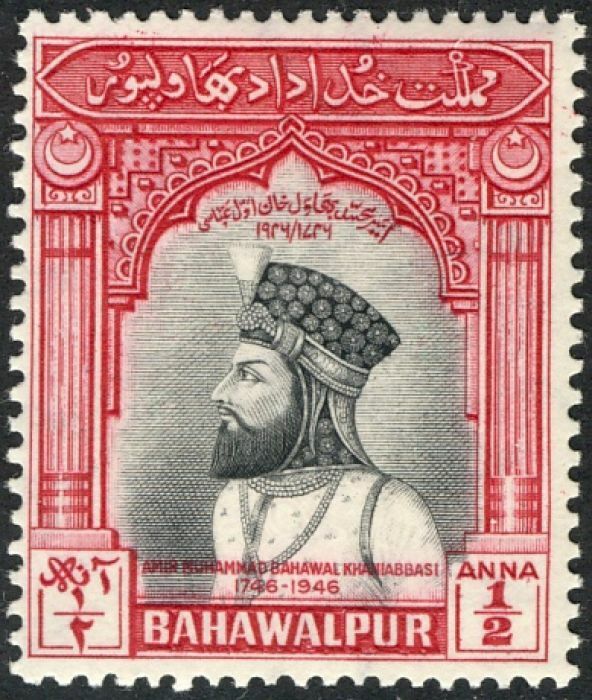 Bahawalpur - both Scott and Gibbons list this with Pakistan as, though formerly an Indian princely state, it only issued stamps after the partition of India and soon became part of Pakistan. 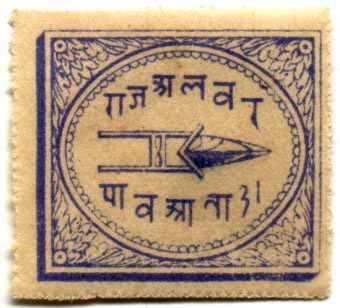 Official stamps were issued in 1945, postal stamps in 1947. 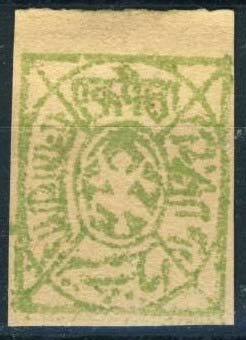 Gibbons first lists a set of overprints, thus Sc1 = SG18. 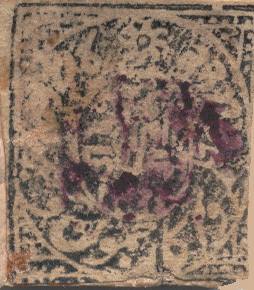 ebay, Collecting Kashmir, David Olson, Grosvenor, Mackay, NB, The Saleroom, Stampboards.com, FICC Journal v18n1p2, n2p4.